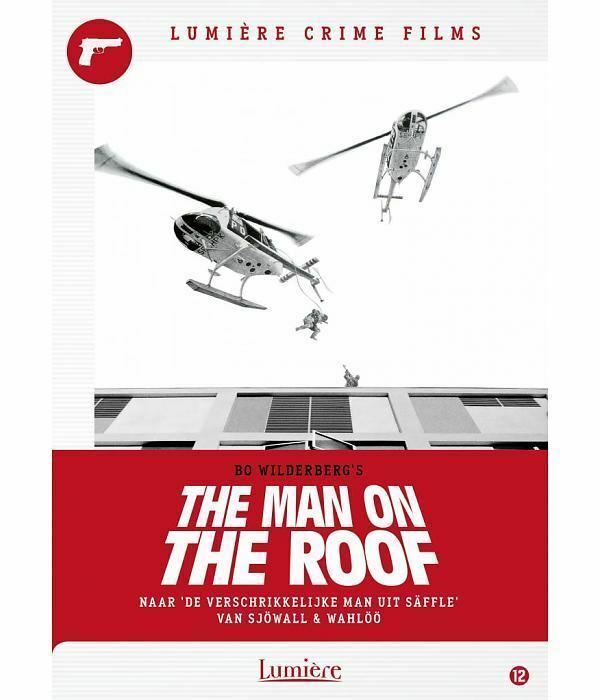 The Man on the Roof (Swedish: Mannen på taket) is a 1976 Swedish police procedural-thriller film directed by Bo Widerberg. It is based on the novel The Abominable Man by Maj Sjöwall and Per Wahlöö. The film stars Carl-Gustaf Lindstedt, Sven Wollter, Thomas Hellberg and Håkan Serner. The plot follows a police officer Martin Beck and his colleagues trying to solve the murder of a senior policeman, known for his brutality against others. While the investigation is ongoing, a well-armed man climbs up on a roof in Stockholm. 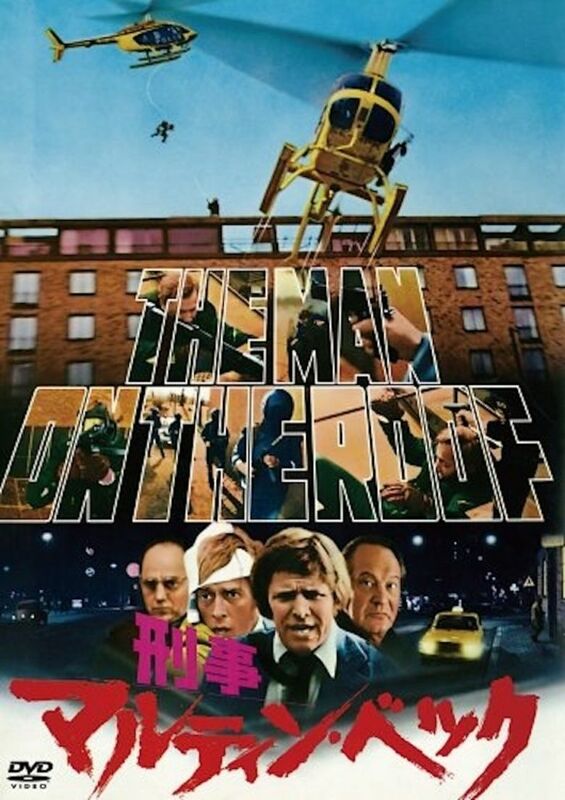 Widerberg was inspired by the 1971 American film The French Connection, and Widerberg would make one more crime film in 1984: The Man from Majorca. The film won two Guldbagge Awards in 1977, for Best Film and Best Actor (Håkan Serner). A policeman (Nyman) who is a patient at a hospital in Stockholm is brutally murdered, stabbed repeatedly with a bayonet. The investigation that follows is led by Martin Beck and Einar Rönn. It turns out that the murdered man had sadistic tendencies and was known among his colleagues for abusing his police privileges and brutalizing civilians. Although his colleagues had been aware of his behaviour, the police force's esprit de corps had suppressed complaints about him and prevented any reprisals. The investigation proceeds, and finally Beck and his team find a trail that leads to the murderer, who turns out to be an ex-policeman named Eriksson. Eriksson's wife Marja had diabetes, and one day, in need of insulin, she had fallen into a coma. She was mistaken by the police as a drunk and put in a jail cell, under the orders of Nyman, where she died. Eriksson blamed the police force for the death of his wife. Now, some years later, he has become a social misfit and the authorities are in the process of removing his daughter Malin from his custody. As Beck and his team close in on Eriksson he climbs up on the roof of the apartment building where he lives in central Stockholm, bringing with him both an automatic rifle and a sharpshooter's rifle. He starts to fire at any policeman and police vehicle he can spot, picking off several policemen. When the police commissioner decides to bring in the anti-terrorist units, including two police helicopters, Eriksson shoots up one of the helicopters such that it crashes on a crowded plaza near the building where he resides. 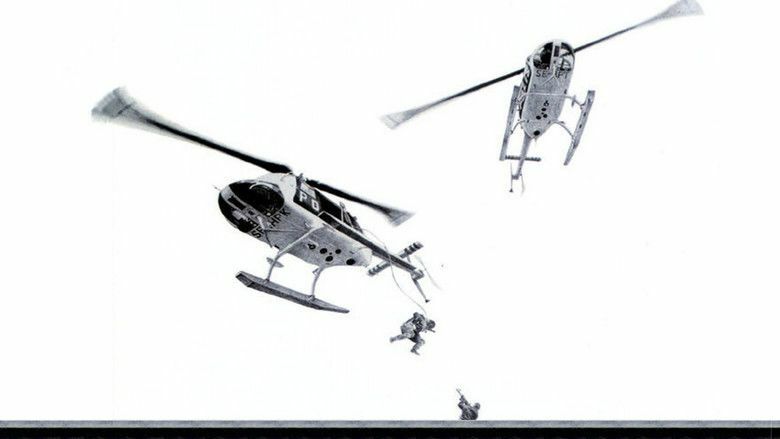 Beck tries an individual initiative, climbing to the roof on a flimsy external ladder, but is shot in the chest, although he survives. Finally, two other members of Beck's team, along with another policeman and a civilian resident in the building, use explosives to gain access to the roof, and Eriksson is shot in the shoulder and arrested. The actor Carl-Gustaf Lindstedt was picked for the part as the policeman Beck after Wideberg had seen him with a serious face in a talk show not knowing he was on air. Previously, Lindstedt was mostly known for roles in comedy films. Filming took place between 11 December 1975 and 30 April 1976, using a budget of 3.9 million SEK. Bo Widerberg didn't like the fake theater blood so pigs blood was used. The critics were very positive and especially praised the dialogue. Around 750,000 people attended the film in Sweden, making it the most successful film produced by the Swedish Film Institute until Fanny and Alexander was released in 1982. The film was selected as the Swedish entry for the Best Foreign Language Film at the 50th Academy Awards, but was not accepted as a nominee.